It’s hard to imagine William S. Paley owning the world’s leading social video conference, or Sumner Redstone for that matter. VidCon is different. It’s not a digital studio or talent network. It’s a large-scale, beautifully realized, meet-and-greet for digital talent and their fans. 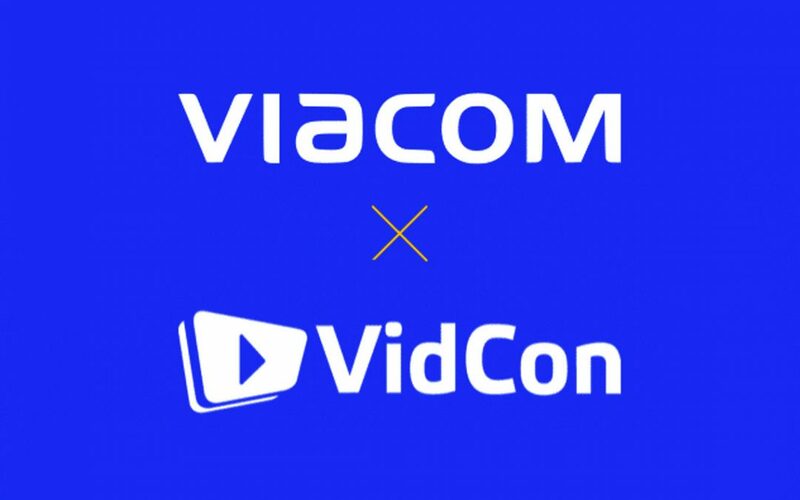 With this week’s revelation by Variety that one-time CBS spin-off and traditional media conglomerate Viacom seems poised to purchase VidCon, it’s an idea we have to wrap our heads around. Paley, of course, was the well-heeled visionary who bought a beleaguered radio station and transformed it into a competitor of early entrant NBC. CBS would, among other things, pioneer the sitcom and grow itself into the top traditional TV network (the highest-rated of 2017, in fact). Even as recently as last week, reports indicate that CBS and Viacom may reunite (adding to the circuitous history of entities called CBS and Viacom). Redstone is a cinema chain entrepreneur who acquired Viacom after the FCC determined that the distributors of television content couldn’t also make and own it (popularly known as the fin-syn ruling). Mr. Redstone, Viacom’s chairman emeritus, is now 94 years old. As some have previously pointed out, he was born before television existed, much less YouTube or Facebook. Snapchat? Forget about it. Now, if the Viacom/VidCon acquisition reports are accurate, the company that he helmed for decades is acknowledging that to lead it must incorporate digital influencers, their fans, and social platform-based content into its mighty fold. First and foremost, it is yet more market validation that big media companies know they must embrace social media influencers and cater to their fan communities in order to compete, and to properly market their traditional TV or film content. Vertical integration? The potential VidCon deal signals a shift toward total integration of the traditional, the digital, content development and production, casting, distribution, and marketing functions. Viacom’s earlier nod in this direction was its acquisition of celebrity-based influencer marketing platform WhoSay just a few weeks ago (in addition to a long-standing, minor stake in Defy Media). Now, big media embracing the digital and the social obviously isn’t new. We’ve already seen the acquisitions and substantial investments of traditional media in multi-platform talent networks, to varying outcomes, most recently the purchase by Otter Media (aka AT&T and the Chernin Group combined) of its remaining stake in Fullscreen. But VidCon is different. It’s not a digital studio or talent network. It’s a large-scale, beautifully realized, meet-and-greet for digital talent and their fans (with a side of screenings, performances, industry discussion, networking, and meetings). VidCon is a must-attend for those in our industry, and you can bet that a number of Bent Pixels talent and our talent managers will be in Anaheim this June for that reason. VidCon is also expanding globally, having last year hosted events in Europe and in Australia. Is taking on VidCon a brilliant move by Viacom? Probably, yes. It shows that the company (and its CEO, Bob Bakish) understands that millennial and Generation Z consumers want not just content but experiences too. Audiences aren’t passive, instead responding to custom experiences and talent that are both accessible and authentic. What is VidCon but a marriage of both? It’s also important to note that Viacom owns some of the great youth entertainment properties of the last few decades, including MTV and Nickelodeon. The rumored VidCon acquisition brings the conglomerate, which had taken some hits in the media as it tried to catch up with digital, back into its traditional sweet spot. We’d be remiss not to point out that, clearly, the media gods have a sense of humor. Viacom once famously sued YouTube’s parent company, Google, in a landmark copyright-infringement case that settled out of court but had an impact on copyright approaches with the platform and beyond, bolstering the digital rights management market (we should know, as longtime DRM agents for major media companies and for talent). Soon Viacom may own the gathering where, since its inception, YouTube has been the dominant platform. Is there something bittersweet about this acquisition coming to pass? Yes. It’s a signal that the days of social video as the Wild West, when VidCon was founded by the prolific content creators Hank and John Green as a confab for the loose community of pioneering creators on YouTube, are well and truly over. It’s a sign of maturity for social video, but it means the time of independence and endless unknown possibility is done. Traditional and social content formats (and companies) are complementary, and converging. This is ultimately good for content creators and for the industry as a whole. We look forward to seeing more opportunities for talent as a result of all the synergy. Those of us who started in the industry early can say we were part of the Wild West, way back when. In our new world, no serious big media company can take for granted the world of UGC video, social platforms, influencers, and digital-native audiences. Bill Paley would surely have known this, too.